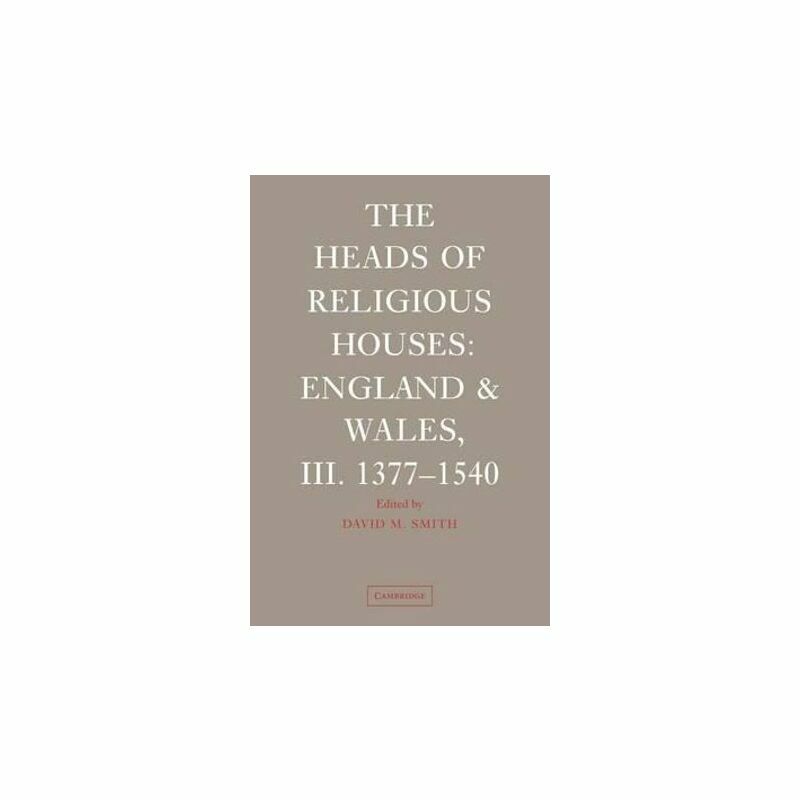 Originally published in 2008, this final volume of the Heads of Religious Houses: England and Wales series takes the lists of monastic superiors from 1377 to the dissolution of the monastic houses ending in 1540 and so concludes a reference work covering six hundred years of monastic history. In addition to surviving monastic archives, record sources have also been provided by episcopal and papal registers, governmental archives, court records, private, family and estate collections. Full references are given for establishing the dates and outline of the career of each abbot or prior, abbess or prioress, when known. The lists are arranged by order: the Benedictine houses; the Cluniacs; the Grandmontines; the Cistercians; the Carthusians; the Augustinian canons; the Premonstratensians; the Gilbertine order; the Trinitarian houses; the Bonhommes; and the nuns. An introduction discusses the use and history of the lists and examines critically the sources on which they are based.